Pope's Blood Stolen by Satanists? UK Storms Caused By Gay Marriage? Secret US Government Run By Nazi Aliens? Is There a Creationist Personality? Big Trouble for "Ark Encounter"
This is the text of a presentation I gave on the Heptarchia Mystica over the weekend at Leaping Laughter Lodge here in the Twin Cities. It presents an outline of the Heptarchial system based on material from my book, Mastering the Mystical Heptarchy. The procedure outlined here is Dee's grimoire evocation method, but the book includes an expanded template that shows how to incorporate modern ritual forms into the basic structure. 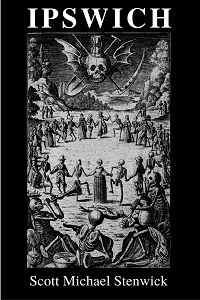 Dr. John Dee is well known in the occult community as the author of magical diaries from sixteenth century England detailing his operations with scryer Edward Kelley. The diaries span seven years and describe a previously unknown form of angel magick that has come to be known as the Enochian system among modern magical practitioners. 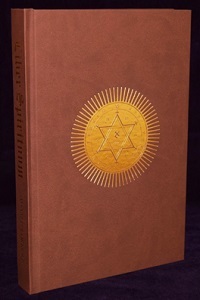 Modern Enochian systems such as those derived from the Golden Dawn, Aurum Solis, or Liber Chanokh attributions typically emphasize the Watchtowers, four tablets of letters that are thought to represent the cardinal directions and elements, and the Aires or Aethyrs, regions of space that expand outward from the Earth and are thought to in some manner span the same “psychic space” as the Qabalistic Tree of Life. Less well known and explored are the angels of the Heptarchia Mystica, Dee’s first attempt at assembling an angelic grimoire. The material found in the Heptarchia was originally received in 1582, Dee’s first year of working with Kelley, and includes descriptions of the implements that commonly represent Enochian magick today such as the Holy Table and Sigil of God. The source diaries can be found in John Dee’s Five Books of Mystery edited by Joseph Peterson, and unlike the rest of the Enochian system Dee also assembled the Heptarchial material into a grimoire form in 1588, which is the Heptarchia Mystica itself. 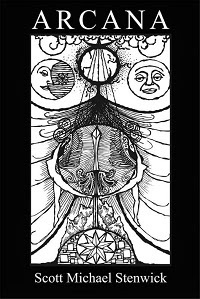 Joseph Peterson has this text available on his website, Twilit Grotto Esoteric Archives, in two versions. The first is titled Compendium Heptarchiae Mysticae and is a sort of rough draft, a compilation of the diaries similar to that found in the Five Books. The second is De Heptarchia Mystica, which is the final text of Dee’s Heptarchial grimoire. Unlike the descriptions of the Watchtowers and Aires, the Heptarchia has much in common with other Renaissance grimoires. At its most basic, Renaissance grimoire magick consists of two basic steps. The first is identification of the individual consciousness with that of the divine, in the Renaissance tradition always rendered as the Judeo-Christian God. Once this identification is accomplished, the magician is granted the authority to command spirits by means of divine authority, names of power, and sigils specific to each entity conjured. One of the most common symbol sets found in Renaissance grimoires is that of the seven ancient planets, which also provide the basic schema for the Heptarchial angels. As such, the system is structured with a King and Prince for each day of the week, plus a King and Prince who rule over the system as a whole, for a total of sixteen distinct angels who may be conjured by name for specific purposes. The temple furniture Dee was instructed to build for his operations is quite elaborate compared to other grimoires of the period. The Holy Table has a three-foot-square top with four three-foot legs, forming the outline of a cube. It was to be constructed of “sweet wood,” which some authors have suggested might allude to cedar. The top should be painted in yellow with a design that incorporates a border of angelic letters enclosing a large hexagram with a 3 x 4 grid of additional angelic letters in the center. 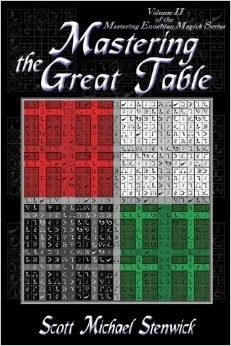 In the middle of the table rests the Sigullum Dei Aemeth, or true sigil of God. This is a nine-inch diameter disk about an inch thick made from beeswax, into the top of which is engraved a complex image incorporating names of power, including those of the planetary archangels, lineal figures of the pentagram and heptagram, and a system of letters and numbers around the edge that encodes additional names. The bottom bears a simple cross-based design and the word of power AGLA. In addition to the large nine-inch Sigillum, four half-size replicas are placed under each of the table’s four legs to support it. In practice, this means that the table legs should bring it to about an inch short of three feet so that the four small sigils will raise it to the correct height. On top of the table, the large Sigillum is surrounded by seven square talismans, one for each planet, called the Ensigns of Creation. Dee was instructed to make these from purified tin and engrave the letters into them. In a later scrying session he was told that he could also paint them onto the table using blue lines and red letters. Either way is appropriate, though it strikes me as more true to the Renaissance grimoire style to use metal talismans. The floor of the temple should be covered with a six-foot-square carpet of red silk. Over the table, Sigillum, and Ensigns should be placed a six by six foot cloth of “changeable red and green silk.” There is a silk double-weave you can buy at local fabric stores called Tabasco that has what I consider the perfect look – iridescent red shot through with green. Finally, the scrying stone or shewstone is placed on top of the cloth and in the center of the large Sigillum. This is essentially a small crystal sphere placed in a frame that holds it in place. Some authors have reported that Dee and Kelley used an obsidian mirror in addition to the shewstone, since one such mirror is part of the Dee collection at the British Museum, but there’s no evidence from the diaries that they ever did so. It is important to note that the angels who contacted Dee considered the ring to be the most important implement of all. He was told that without it, he would accomplish nothing. Given the current astronomical price of gold that’s a little disheartening, but fortunately other metals will work almost as well. I’ve had good results with both silver and brass, though as I mention in my book silver rings seem to have a habit of breaking after some number of uses. I have not had the same problem with brass, but unfortunately brass Enochian rings are hard to find online, whereas a lot of jewelers have silver. But even if you have to do something as silly as make a ring out of gold cardboard and draw on the design, you should always have something like it on your finger when performing Heptarchial operations. It is likewise important to note that assembling a full temple setup like this is a major undertaking, and you can in fact cut corners safely and get decent magical results. I built a couple of quick pieces and started right in on the magick when I first got interested in Enochian and I’m glad I did. It’s easy to let building the perfect temple become an end in itself, but don’t do that. It’s just another excuse to keep you from doing the work. On a related note, Enochian has over the years developed a reputation for being scary or dangerous. It is no more so than any other effective magical system. When you command the spirits, they will act accordingly so you need to be careful how you word your charges to prevent things like “careful what you wish for” type situations. But if anything, I’ve found that the Enochian entities are if anything better at reading the “spirit” rather than the letter of your requests and they seem to honestly want to help. In all the years I’ve been working with the system I’ve never had to compel them to obey or anything like what some Goetic practitioners report. And honestly, that saves you a lot of trouble. To highlight this point a little further, I have twice issued a challenge on my blog for anyone to come up with a story of an Enochian magician who melted down or was messed up by the angels in some fashion. Only a handful of people could think of anything, and the couple stories I did get were where people with previous mental illness played around with Enochian and wound up getting worse. More than that, none of them used rings or lamens or temple equipment, as many Golden Dawn-style practitioners don’t believe it’s needed. Crowley did perform the operations that led to the writing of The Vision and the Voice without them as well, but he was a very experienced and accomplished magician at the time. Some authors such as Donald Tyson have argued that Crowley did in fact suffer as a result of his Enochian operations, but looking over the history it seems more likely to me that he had less success afterwards because by that time he had mostly used up his personal fortune self-publishing his work. So no, I do not believe that Enochian is especially dangerous. It’s magick, it works, and it’s powerful, so you need to be careful how you use it. But that’s true of any technology. Cars are really dangerous; they kill something like ten thousand people a year and we still drive. Statistically speaking driving to the store is more risky than performing an Enochian operation, so don’t let yourself be scared by poorly sourced stories on the Internet arguing that Enochian is hazardous in some murky and poorly defined fashion. “Fear is failure and the forerunner of failure,” right? One of the most discussed aspects of the Enochian system is the angelic language and alphabet, derived from a set of conjurations for the Great Table and Aires called the Angelic Keys or Calls. For the purposes of Heptarchial work, though, you don’t need to know a lot about it aside from how to pronounce the names of the Kings and Princes. Otherwise, the conjurations and prayers used are all in English. There are a number of pronunciation systems out there, and one of the unfortunate things about Crowley’s Liber Chanokh is that he writes out the unwieldy Golden Dawn pronunciations of the Angelic Keys without indicating what the original letters are in the Dee text. As most Enochian magicians these days are abandoning that system as anachronistic and artificial, it makes the text less useful in practice than it might otherwise be. The actual pronunciations can be derived from Dee’s own phonetic notes in the Angelic Keys, and in fact are relatively simple. For the most part, the names are pronounced as written. The system that I use is based on eliminating many multiple consonant sounds, so that for example, C is always pronounced as K and G is never pronounced as J. In Angelic, I and J share the same letter and there is no K, but there is an S. This is a subject of some debate among Enochian scholars. Aaron Leitch in his Angelical Language series bases his pronunciation key on the same Dee notes that I do and sometimes goes with G as J and C as S, even though there are no places in the phonetic notes where the spelling reads G but the pronunciation is written J, and also no places where the spelling reads C but the pronunciation is written as S. Likewise, I try to keep the vowels as simple as I can. A is “ah,” E is “eh,” I is “ee,” O is “oh,” and U is “uh.” These rules should be sufficient for pronouncing the Heptarchial names, as none of them contain the particularly difficult sets of consonants that sometimes appear in the Angelic Keys. The Kings and Princes are attributed to the days of the week and seven ancient planets. They can only be conjured on the proper day, and the rituals work best if they are done in the proper hour. Planetary hours in Renaissance magick are of variable length depending on sunrise and sunset. To find the hours of the day, you divide the time from sunrise to sunset into twelve equal parts, and to find the hours of the night, you divide the time from sunset to the following sunrise into twelve equal parts. Sunrise is when each new day begins, not midnight as in the modern calendar. The days of the week are attributed to the planets. Sunday is attributed to the Sun, Monday to the Moon, Tuesday to Mars, Wednesday to Mercury, Thursday to Jupiter, Friday to Venus, and Saturday to Saturn. 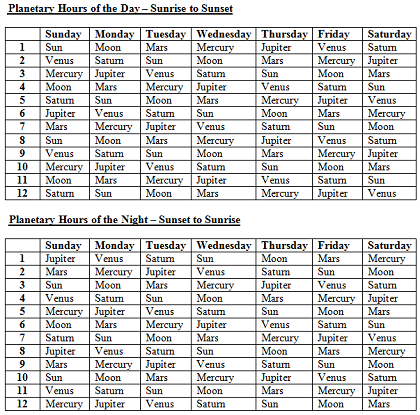 The planets are also assigned to the day and night hours for each day following a pattern called the Chaldean Order. Once you have the hours calculated for the day, assign the first hour to the planet that rules the day, so that the first day hour of Sunday is ruled by the Sun, the first day hour of Monday is ruled by the Moon, and so forth. Then you follow Chaldean Order, which is also the order of the planets on the Tree of Life from top (Saturn) to bottom (Moon). The hour of Saturn then follows the Moon hour and the cycle repeats, as shown here. The full Chaldean Order is Saturn --> Jupiter --> Mars --> Sun --> Venus --> Mercury --> Moon. It corresponds to the order of relative astrological motion from slowest to fastest, as visible from Earth. The function of these days and hours in grimoire magick is similar to how modern magicians use pentagram and hexagram rituals – they tune the magical space to the energies of a particular planet. Rather than tuning by ceremonial means, grimoire magicians rely on the natural progression of planetary energies throughout the day. Dee gives additional planetary aspects to the Kings and Princes that match the day for the Kings, but not for the Princes. These additional aspects represent the proper planetary hour in which the King or Prince should be conjured. Carmara and Hagonel are the overall rulers of the system, so they can be conjured at any time. Mondays are best for them according to Dee, but other days will work. Monday is considered the start of the Heptarchial week rather than Sunday. Bobogel: Day and Hour of the Sun. Blumaza: Day and Hour of the Moon. Babalel: Day and Hour of Mars. Bnaspol: Day and Hour of Mercury. Bynepor: Day and Hour of Jupiter. Baligon: Day and Hour of Venus. Bnapsen: Day and Hour of Saturn. Bornogo: Day of the Sun, Hour of Venus. Bralges: Day of the Moon, Hour of Saturn. Befafes: Day of Mars, Hour of the Sun. Blisdon: Day of Mercury, Hour of Jupiter. Butmono: Day of Jupiter, Hour of Mars. Bagenol: Day of Venus, Hour of the Moon. Brorges: Day of Saturn, Hour of Mercury. There is an excellent Windows utility called ChronosXP that will calculate these hours for you automatically on your desktop. 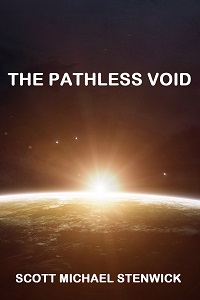 It’s interesting to have it running and watch what happens – you start noticing a lot of coincidences in which things of each planet’s nature tend to happen during the proper hour. The application is open source, so it’s likely that it’s available for other desktop platforms as well. Each combination of King and Prince requires a talisman bearing a ring of names around the edge, with those of the King and Prince along with their seals in the center. These can found in my book, rendered in Angelic letters, or at Joseph Peterson’s Esoteric Archives. The talismans on Peterson’s site do require a little assembly, but it’s fairly obvious. The ring of names is the border of a circle, the King’s seal is placed in the upper half, and Prince’s seal is placed in the lower half. The names of the King and Prince are placed within the circle along with the seals. The way I generally do it is to write the name of the King followed by that of the Prince across the circle’s midline between the two seals, but other arrangements are also workable so long as the names are represented. One of the oddities about Heptarchial magick is how these seals are used. Rather than being held in the hand or placed under the shewstone, they are placed on the floor. The magician then stands on them, preferably with bare feet, while reciting the conjuration. This is pretty unusual in grimoire magick and I don’t think I’ve seen it anywhere else. In order to facilitate this you should place the talisman for the King and Prince on the floor in front of you when you start your ritual so that you can step onto it at the proper moment. 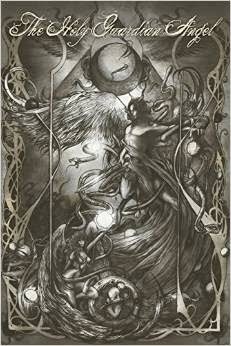 The Kings and Princes, like all collections of grimoire spirits, all have particular powers. It should go without saying that it’s important to make sure you choose the right one for what you want, as their powers are limited outside their relative spheres of influence. If you don’t know you should feel free to experiment. If you charge a spirit to do something beyond its powers it won’t get angry, the spell just won’t do anything. Here are the powers of the Heptarchial entities according to Dee. Carmara, Blumaza: Dispensing and governing the Heptarchial doctrine. Bobogel: Distributing, giving, and bestowing wisdom and science. Babalel: Who art King of Waters: Mighty and Wonderful in Waters. Bnaspol: To whom the Earth with her bowels, and secrets what so ever are delivered. Bynepor: Whose exalted, especial and glorified Power, resteth only and dependeth the general condition of all things. Baligon: Who canst distribute and bestow at pleasure, all and whatsoever can be wrought in aerial actions. Bnapsen: Casting out the power of all wicked spirits, knowing the doings and practices of evil men. Note that there is some overlap between the Kings. Baligon is a form of Carmara, as is Blumaza. They are summoned slightly differently depending upon the manifestation with which you want to work. Also, there is little explanation given for how precisely some of these powers work. In general, the Kings behave like Intelligences in that their powers tend to relate to knowing things or watching over things. Hagonel, Bagenol: To whose Power the Operation of the Earth is subject. Bornogo: Altering of the Corruption of Nature into perfection, Knowledge of Metals. Bralges: Who saidst: The Creatures living in thy Dominion are subject to thy own power. 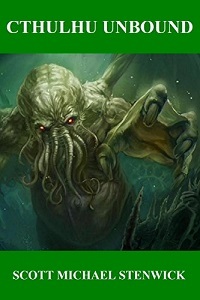 Befafes: Who art Prince of the Seas. Thy Power is upon the Waters. Blisdon: Who art Life and Breath in Living Creatures. Butmono: Unto whom, the Keys of the Mysteries of the Earth are delivered. The only overlap between the Princes is that Hagonel and Bagenol are aspects of the same entity. In general, the Princes behave like Spirits in that their powers tend to relate to doing things and making things happen. The basic procedure for conjuring the selected King and/or Prince now follows. This is for the original grimoire form only, but my book includes an expanded template that shows when to use forms like pentagram and hexagram rituals if you so desire. Set up the Enochian temple to the best of your ability. Wear the Enochian ring, robe, and lamen. Stand to the west of the Holy Table facing east. Your ritual should be scheduled so that it is being performed on the appropriate day and during the proper planetary hour for the King and/or Prince you wish to summon. The talisman for the King and Prince should be placed on the floor in front of you. Perform the revised Oration to God. This version from my book has been rewritten slightly from Dee’s to make it less explicitly Christian. 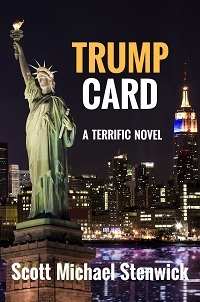 My book also contains the original. O Almighty, Eternal, True and Living God: O King of Glory: O Lord of Hosts: O Thou, who art Heaven and Earth and all things visible and invisible: we beseech Thee in this our present petition to have mercy and compassion upon us, who, faithfully and sincerely of long time have made suit unto Thy Divine Majesty, that we may obtain true Gnosis and full understanding of Thy Divine Wisdom, Power and Goodness. And whereas it has pleased Thee of Thy infinite Goodness, by Thy faithful and holy Spiritual Messengers, to deliver unto us long since an orderly form and manner of Exercise Angelic: how, to Thy Honor and Glory, and the comfort of our own souls and of others Thy faithful servants, we may at all times use very many of Thy Holy Angels, their counsels and helps: according to the properties of such their functions and offices, as to them, by Thy Divine Power, Wisdom and Goodness is assigned and limited. Therefore, we heartily and faithfully beseech Thy Divine Majesty to further this our present industry and endeavor to Exercise ourselves, according to the aforesaid orderly form and manner. Grant also unto us this blessing and portion of Thy Heavenly Graces: that thou wilt forthwith enable us, make us apt, and acceptable in body, Soul, and Spirit to enjoy always the Holy and friendly conversation, with the sensible, plain, full and perfect help in word and deed of Thy Mighty, Wise and Good Spiritual Messengers and Ministers generally: and namely of Blessed Michael, Blessed Gabriel, Blessed Raphael and Blessed Uriel: and also, especially of all those which do appertain unto the Heptarchical Mystery and the Mystery of the Great Table. Reveal unto us Thy Majestical Glory, now and forever, through Thy Ministers, the true and faithful Angels of Light. AMEN. AMEN. AMEN. Now step onto the talisman and intone the corresponding conjuration. I’m not going to include them all here, but they can be found in my book, or online at Joseph Peterson’s Esoteric Archives website. The conjurations are fairly simple. They consist of calling on the King or Prince by the name of God, reiterating the entity's office, and concluding with a short prayer or benediction. When performing these rituals with my magical working group, we usually follow up the conjuration by vibrating the name of the King or Prince as a group until the desired presence is perceived. Once you perceive the spirit’s presence, you may address the King or Prince. Kelley was a visual scryer, so his method was to scry for the conjured entity using the shewstone. However, you can use whatever method you find appropriate. Some modern grimoire enthusiasts like Joseph Lisiewski contend that the only way to really detect the spirit is to see something akin to poltergeist activity, which is just not true of the Heptarchial entities. They rarely produce dramatic “side effects” like that when they are conjured. I have done some experiments with using an EMF detector to signal the presence of a spirit, and have had some promising but as yet preliminary results. I hereby command that you bring me the sum of five thousand dollars within one month (injuction), without causing harm or damage to myself, my loved ones, or my property (limitation). This rules out certain courses of action that the magick might take in order to avoid “monkey’s paw” type situations in which you get what you asked for, but in a way that has some terrible downside. You should always use a time limit as well. That way the spirit knows not to pursue courses of action that will lead to the end you want, but over too long a span to be useful. Perform the License to Depart. While the Heptarchia does not include a formal license to depart, my magical working group and I use this basic one that I wrote. You Angels of Light, I, [Your Magical Name], by the power of the True, Almighty, and Living God, I hereby bid you to depart and accomplish your appointed tasks, in the service of my True Will and to the Glory and Honour of our aforementioned True God to whom you owe loyalty and obedience. I, [Your Magical Name], hereby free the forces constrained, focused, and directed during this operation, that they may go forth and work their various powers upon the manifest universe, for thus is all True Magick and Perfect Power born. By the power of my True Will here embodied by the Magical Name [Your Magical Name], AMEN. So mote it be. That provides a brief introduction the Heptarchia Mystica and a simple outline of the practice so that you can perform your own experiments with it. The subject is covered in much greater detail in my book, Mastering the Mystical Heptarchy, which is available from Pendraig Publishing. The system itself is simple, but at the same time the Heptarchial angels are powerful entities suitable for both practical and theurgic magical operations. As such, working with the Mystical Heptarchy is a highly effective practice that can enrich and transform your life in numerous ways. You're very welcome! Thanks for reading, and I hope that you find it useful in your practice. 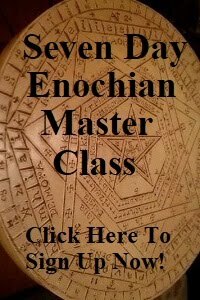 I'm considering to start working with the enochian system. Well, the Mystical Heptarchy at first. I'm still trying to see how the table would fit inside my already small space, with an existing table already there. I just came across this link in which this this guy shows how he has built his table, and it's considerably smaller, about 1:3 scale. I had the idea of making one myself, with the smaller proportions, and place it upon the existing table. 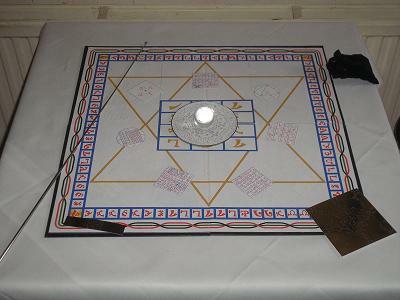 The Sigillum Dei Aemeth would be made out of paper/cardboard, with smaller proportions to the original and the four copies that support the table, smaller still. Would that be considered acceptable?